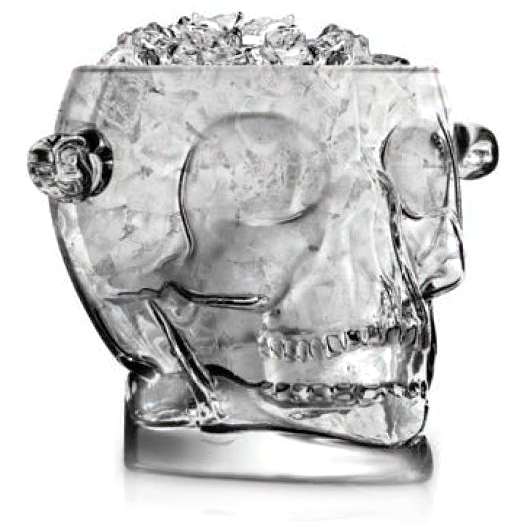 Store ice in a bucket that matches your style with this Final Touch Brain Freeze skull ice bucket. This bucket is not like any other, and it features a open skull shaped design. The skull is made of crystal clear glass so you can see through to your stored ice, and it features two short handles on either side. Great for Halloween parties or other spooky-themed events, this Brain Freeze skull ice bucket is sure to impress.